Acoustic panels can serve so many purposes apart from just reducing noise in a building. They add the color and 3d-texture to wall designs, they serve as space-dividers, they can even be used to encourage creativity! Yet the main purpose of those panels is still to absorb sounds, and it seems there is a great demand for it. These days the need for quiet spaces that give an opportunity for relaxation as well as communication is high, especially in the busy offices. That’s why designers have to account for this extra feature while developing their aesthetical ideas, and give interior space the quality of coziness and intimacy by lowering the noise level. Here are just a few examples of acoustic panels with an extra twist. 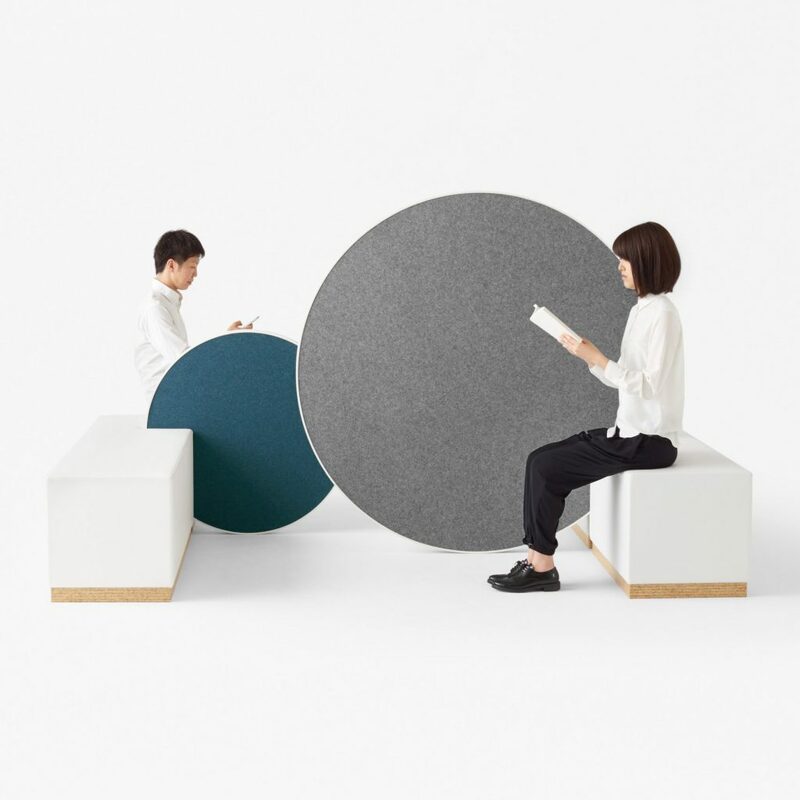 Circular whiteboards with fabric covered surfaces were designed by Nendo to serve as office partitions. They can be easily wheeled around the office to encourage creativity. Slots in tables, benches, counters and the floor allow the screens to be held in place. The conceptual office range was made for Japanese furniture manufacturer Kokuyo. Studio Layer by Benjamin Hubert created modular stand-alone acoustic system made up of triangular hemp tiles for Australian textile company Woven Image. Bang & Olufsen’s BeoSound Shape is a sound system can not only play or boost sound via wi-fi but also absorb noise.